Wherever we are, indoors or outside, none of us is more than four feet from a spider. Spiders are all around us, and are our friends. Chris Buddle and Eleanor Spicer Rice, authors of “Dr. 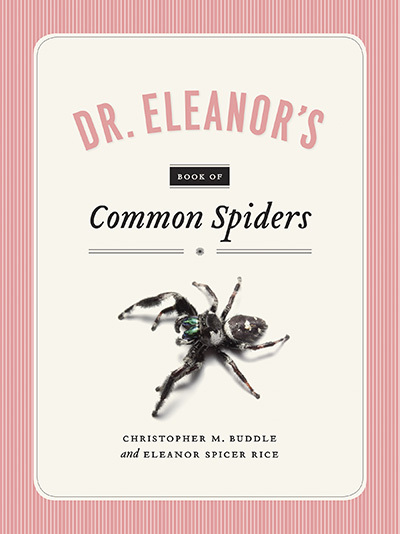 Eleanor’s Book of Common Spiders,” will celebrate the release of their new book and reveal the uncommon habits of some of the most common creatures around. Chris and Eleanor will reveal the exciting lives of the spiders on your bedroom ceiling spitting sticky nets on pests, the ruthless spider pirates performing hostile takeovers in your basement, and other creatures in your cobwebs. Chris Buddle, PhD, is an arachnologist, and Associate Professor and Dean of Students at McGill University. Eleanor Spicer Rice, PhD, is an entomologist and science writer living in Raleigh. She is the author of five books about ants, and a writer at science art blog Buzz Hoot Roar.